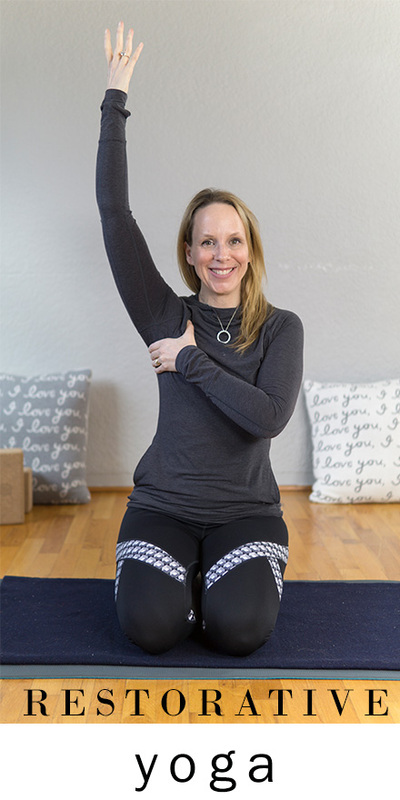 Self myofascial release of your plantar fascia, pec minor, erector spinae, subscapularis, and neck will be offered before you go into your restorative pose allowing you to release more deeply into each restorative yoga pose in this class. The ability to release myofascial tension in restorative yoga is greatly increased when we apply self myofascial release. The result is great ease and well being in our physical, mental, emotional, energetic and spiritual bodies. By the end of the class you will be receiving the support of the earth and opening to breath in a completely new way that you didn’t even realize was possible. Be sure to join us for Fascia February in our Community for 6 Week Plans to Introduce the Foam Rollers and Balls, 4 Week Plans for Back and Upper Body, Lots of videos with the foam rollers and balls and 4 weeks of focus on myofascial release throughout our community.